Our future will be determined significantly by how we handle our conflicts, how we share what we have and how we learn to build systems without waste. Blame culture creates massive waste and threatens our sustainability as a species on this planet. Other approaches to conflict and possessions generate sharing, safety and growth. Mediation Support Limited supports the development of www.freelender.org and other initiatives building trust and resilient communities. At 35 I moved into 5 years working for a national charity. Since then, aged 40 I've had some official employment in a range of locations from another charity office to a prison to door-knocking as a charity fundraiser. Simultaneously in these years since I turned 40 I've worked just as much within the context of building companies which innovate in the fields of conflict and sharing. For background information, click the picture above to see a minute-long interview from "The Moral of the Story". 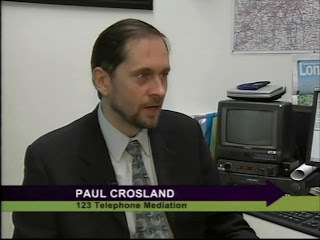 On this ITV1 programme, Paul explained how ApologyPlus (-more than sorry) and Mediation Services (e.g.123 telephone mediation) can produce transformation for 'victim' and 'offender'. Paul set up Mediation Support Ltd in 2006 as a strategy to share and develop the work of others who work with conflict. From 2007, Mediation Support Ltd has prioritised the conflict and change involved in the transition to a socio-economic order that is less dependent on oil. The Transition Movement is about actively reducing our use of non-renewable power in ways that increase the quality of our lives. Paul intends to convert Mediation Support Ltd to a Community Interest Company within the next year, and would like to hear from you if you want Mediation Support to grow. Since 2001 (including 5 years as Head of Restorative Justice at the national charity for mediation services, Mediation UK) Paul's work has included providing training, conferences and support to mediation services and restorative practitioners. 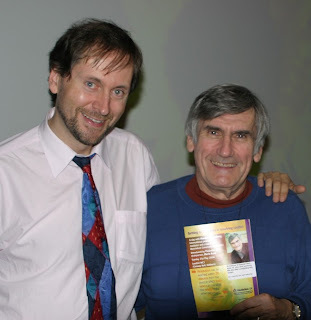 His previous work was as a criminologist and a volunteer neighbour mediator. Paul has trained in workplace mediation and specialised as a co-ordinator of prison based restorative justice projects. Since 2007 Paul has been in regular communication with the restorative practioner by whom he is most inspired - Dominic Barter. Dominic works both in Brazil and as an international restorative justice consultant. October 2008 Keynote speaker presentation at the International Institute for Restorative Practices 11th World Conference. - Restore a sense of dignity, security and justice. - And reintegrate all into peaceful co-existence. And to do that through a process of guided dialogue which empowers, heals, and connects, so that action is facilitated, both at an individual and a collective level, for mutual benefit." Paul writes, "Both Dominic and the NVC-UK Network have greatly advanced my learning about restorative processes involving substitutes. A substitute who has trained in being able to hear what's important to you and express their authentic needs can provide a process that deepens understanding. This creates opportunities to find ways to get the needs met that, whilst unmet, are causing you pain. Distance deepens conflict and meeting a substitute might be a step towards meeting the actual person(s) with whom there is a conflict. Seeing how restorative processes do not require the engagement of the other enlarges the potential of these processes greatly." Meanwhile, I am also developing further web-based services for ensuring that you have those important conversations in ways more likely to ensure everyone's needs are heard and addressed. For this I am seeking further funding." 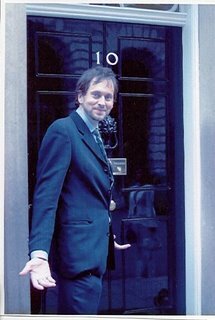 Following work with the Home Office and criminal justice agencies to produce and publish restorative practice training, assessment and Best Practice Guidance materials, Paul was invited by the Prime Minister to be personally thanked for his work on behalf of victims of crime.